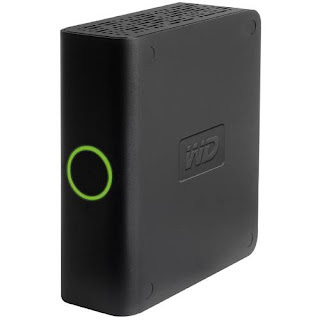 I've been using IDE drives in USB/Firewire enclosures for add-on storage, a 200GB and a 250 GB. I had filled up the 250GB and switched to the 200GB. But I didn't want to eat up all my UPS power with both of them running so I turned off the 250GB. The downside is that then I couldn't tell what I had on the 250GB. Duh! One of my RSS feeds came up with "Western Digital 500GB 7200 RPM USB 2.0 External Hard Drive - My Book Essential Edition for a low $114.75 - 10% off using Paypal = $103.27 free shipping." Not bad. And it's quiet as a mouse.